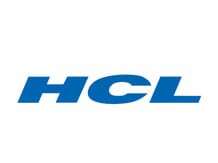 Integrated talent solutions provider HCL TalentCare, the fourth business vertical of HCL Corporation, is planning to launch a new course on SMAC (social, mobility, analytics and cloud). "The SMAC programme will comprise six months of on-campus and three months of on-the-ground training. The fee for the programme, which will be launched within the next four months, will be between Rs 1.5 lakh and Rs 3.5 lakh," chief business officer Vijay Iyer said. HCL TalentCare, which started its commercial operations four months ago, bridges the skill gap between the entry-level graduates and sectors like IT, banking, financial services and insurance (BFSI), and healthcare. Iyer said that the company's campus in Hyderabad was currently operational with a student intake of 600. HCL TalentCare's Chennai campus, with a student intake of 1,000, will be opened during this week, he added. "The company has trained and employed over 600 graduates as of now, and plans to take this number to 20,000 by 2018," he said, adding that the company was exploring the possibility of opening campuses in NCR and Bengaluru.